The last time I saw my sister was the day before she vanished from my life. 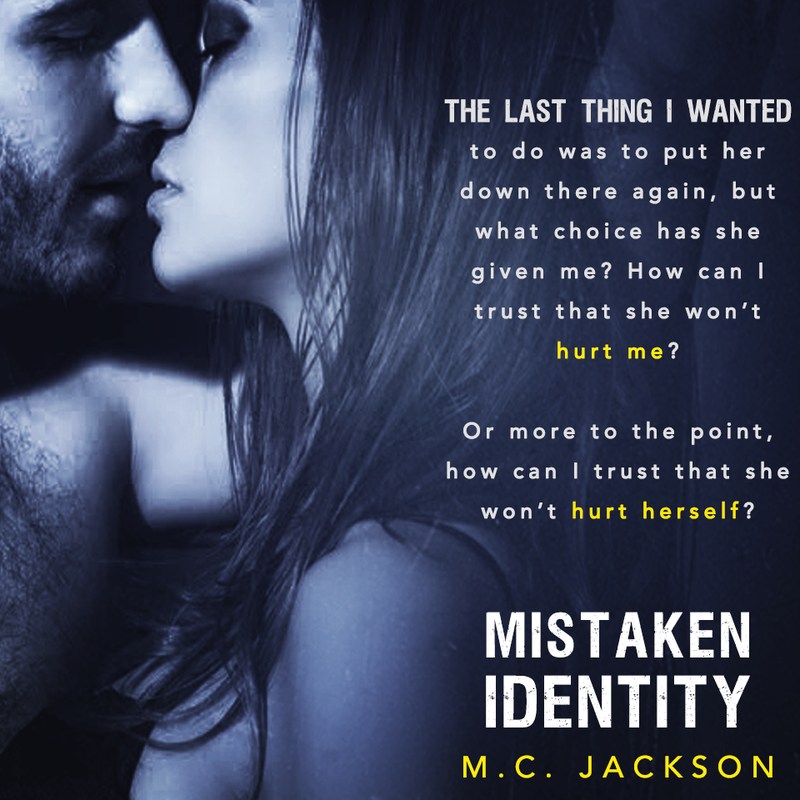 I’ve spent the last five years searching for her, clinging to the hope that one day I will find out what happened to her, but every lead has ended up at a dead end.Until now.He took me because he thinks I’m Her.My instinct is to run. I want to fight my way out of there, but I can’t. This man is my only connection to my sister. I’ll do whatever it takes to uncover the truth. Even if it means falling right into the arms of a psychopath. This book was intense right out of the gate. I could not put this book down, because I constantly NEEDED to know what was going to happen next, and I kept needing answers to questions that were continuously popping up. There are romance undertones, but I would classify this book as a psychological Suspense. The characters suffer, and the story is tragic in a lot of parts. You start to get depressed learning all of their stories. Your heart breaks, and then you get hopeful just before the rug gets pulled out from underneath you, and everything hits the fan. Several HUGE twists get tossed at you all at once! If you weren't already hooked at that point, the twists do you in. It's the twists that really get you. I am still reeling from this story! 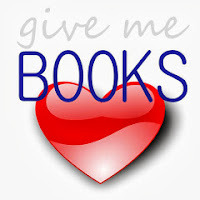 I loved this book! 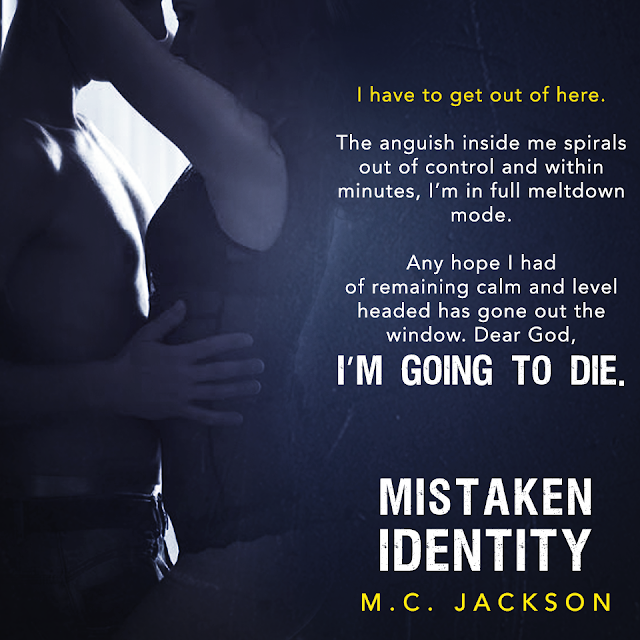 If you are a fan of super Suspenseful stories with HEA, then this is the book for you! 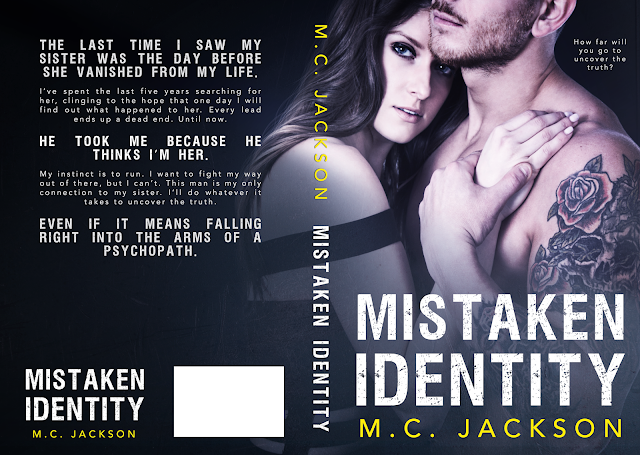 MC Jackson released her debut novel, Mistaken Identity, in May 2017. When not writing, M.C. enjoys reading everything she can get her hands on, spending time with friends and family, and cooking up crazy meals after binge watching Masterchef.